Radika Exim has an experience team of dynamic proessionals working together to achieve success in accomplishing the goal. To create an autonomous, hard-working, high-producing group of individuals is challenging, and there are many factors that influence our team’s success. Two of our top leaders - Raghav Maheshwari & Varun Somani, are constantly working towards the success of Radika Exim. Radika Exim is governed by multitalented and professional team. The organization is patroned by Radika Exim Group - a renowned import/export orgamnization of India. Under the leadership of Raghav Maheshwari, Radika Exim Group has evolved as a leading organization in Rajasthan. Radika Exim is constantly growing by the exuberant efforts of its young directors - Raghav Mahesgwari and Varun Somani. 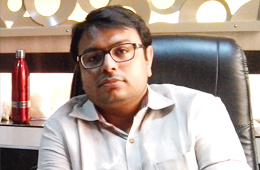 Raghav Maheshwari has 18+ years of experience in import / export with core specialization in FMCG industry. 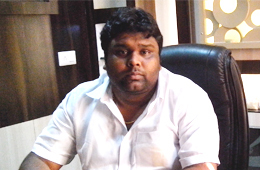 He has a prior experience of Software Engineering and Business Management. He possess good command on several international languages. Varun Somani is a highly qualified leader with a reputed degree of Business Administration from United Kingdom. He has a 15+ years of experience in Business Administration. Today Radika Exim is a pinoeer and holds a special identity of its own not only in Jaipur but also among the topmost organizations in India.